Order of succession // With potential for race seats opening up in 2013, which young drivers can step up? With the season getting on halfway over, it’s time for the reserve drivers to start getting ready for the “Young Driver Tests” and to start impressing team bosses for a drive next year. Four particular reserves stand out from the pack in terms of likely Sunday drivers next year... hopefully their bosses feel the same way. What a stellar driver! Winner of Formula BMW Europe Championship in 2008 at age 17, winner of the inaugural GP3 season in 2010 and a pretty superb record in GP2 already are certainly not achievements to balk at. 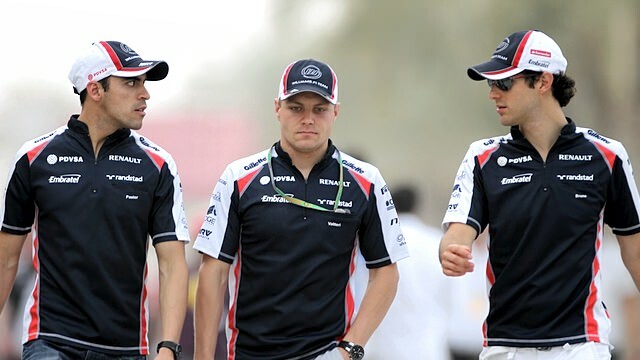 Unfortunately for the young Mexican, Sauber already have two extremely good and far more experienced drivers. One of them is already Mexican, to boot. If we’re honest, Peter Sauber and Monisha Kaltenborn are probably pretty happy with the drivers they already have. They both have had good records this year and are scoring points with some regularity. Also, it seems a bit odd for a team to have two Mexican drivers at the same time unless they think some serious funding can come of it. They’d do better financially to milk Japan for all it’s worth with Kamui Kobayashi. 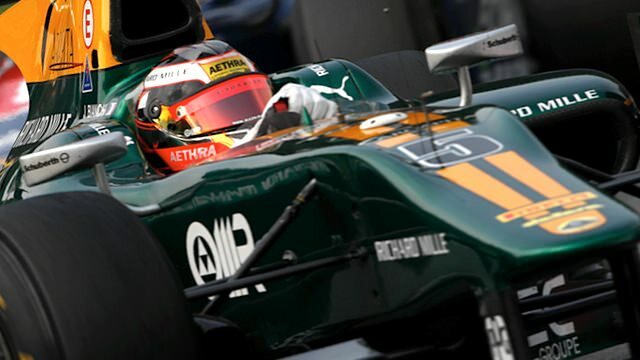 Caterham have been stuck in a sort of no-man’s-land of floundering mediocrity for the past 18 months or so. I believe Ted Kravitz described it as a “place of nowhere” after the Canadian GP and while not particularly eloquent, his quote is very descriptive. 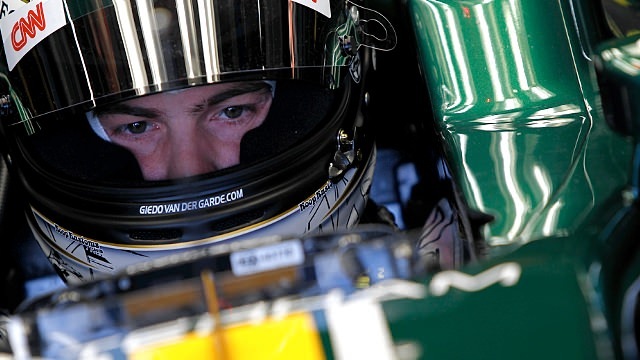 Similarly, Van der Garde has done okay in GP2 but not spectacularly (currently third in the points). I suppose Van der Garde and Caterham are a match made in heaven in that respect but I’m not sure that further mediocrity is really what anyone would like to see out of the team. Fortunately for Giedo, Caterham is just a smidgeon strapped for cash. 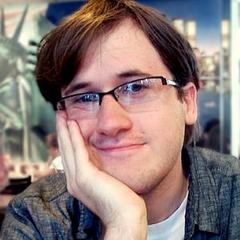 If he can find some folks willing to support his cause and can convince the bosses that his mediocrity would be somehow better than Vitaly Petrov’s, he may be in business. Until that day comes, however, he’s sticking to the simulator. The Williams team have burned hot and cold this season. Bottas on the other hand has been rocket hot for his whole career, having never finished lower than third in any formula he’s competed in with the exception of British Formula 3 last year. He’s certainly a young driver with a whole lot of promise. 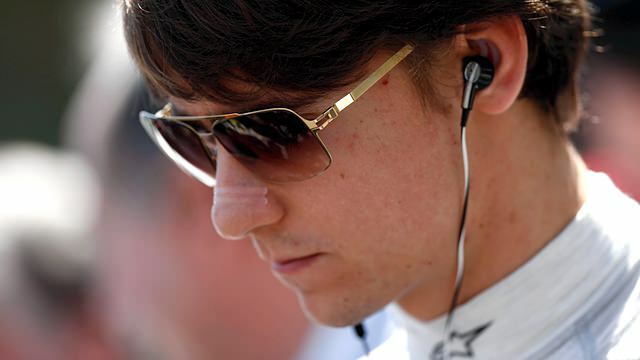 For my money he’s the best young driver out there at the moment. Unfortunately, it’s not my money, and with the major dollars being brought in by Senna and Maldonado it may be difficult for the young Finn to get a race seat unless he can out-promote himself over the current drivers. No doubt Maldonado had his moment of brilliance a few weeks back and could have taken pole in Canada if not for that silly little spin in the final corner so he’s probably safe with his seat for now. Bruno Senna on the other hand has struggled but Williams is more concerned with cash than performance at the moment and they’re happy to stay that way until they have a car that can consistently perform well in relation to the top teams. Frankly (get it?) the team would probably rather have Bottas in the car over Senna but they are simply not in a financial situation that allows it. Next year’s drives for the legendary manufacturer depend a lot on cash, Bruno’s performance in the remaining races and Valtteri’s performance in the test sessions moving forward. Fingers crossed for the Finn. With the expected turnover among the top teams, it’s fairly likely that someone will get caught out in 2013. Expiring contracts with Vettel, Webber, Massa and Hamilton should provide enough gossip towards the end of the year that, well, I won’t be struggling for material to write. Jules Bianchi, as I’ve mentioned previously, is not likely to get a drive in the crimson stallion. Ferrari is generally smarter than to stake their hopes on a relative unknown. On the other hand, the other team that the young Frenchman is a reserve driver for may be able to find a spot for him. Force India is pretty likely to lose Paul Di Resta next year to either Ferrari (replacing Massa) or Mercedes (replacing Schumacher). If that’s the case, then it would be most logical for Bianchi to end up in the driver’s seat at Force India. The only chance I see of Jules ending up at Ferrari full time next season is in the instance where Ferrari tries for a top-name driver like Mark Webber and negotiations fall through or the driver changes his mind last minute. Bianchi would be a good, last-minute fill in but certainly not ideal for the legendary marque.